County of Monmouth: Glascoed, Goytrey, Gwehellog, Gwerneseny, Kemeys Commander, Llanbadock [Llanbaddock], Llandegveth, Llangeview, Llangibby, Llanhilleth, Llanllowel, Llanthewyvach, Llantrissent, Llanvihangel Pont-y-Moy [Pont-y-Moile], Lower Llanvrechva, Upper Llanvrechva, Mamhilad, Monkswood, Panteg [Panteague] (2), Trevethin with Pont-y-pool (4), Trostrey, Usk. The population falling within the Union at the 1831 census had been 18,549 with parishes ranging in size from Gwerneseny (population 62) to Trevethin with Pont-y-Pool (10,280). The average annual poor-rate expenditure for the period 1833-35 had been £5,034 or 5s.5d. per head. The Board of Guardians met on alternate Thursdays at 10am. The workhouse had an entrance driveway at the east of the main buildings. To the rear of the entrance block, the main building followed the popular cruciform layout. A front block at the east led to a central hub from which radiated wings for the various classes of inmate. The western range of the may building may have contained the original infirmary. 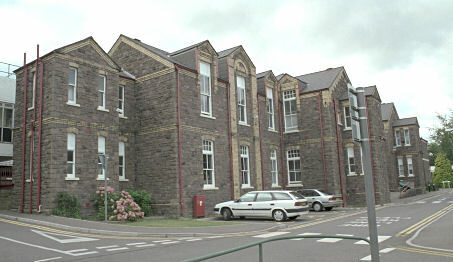 Pontypool west wing of original main building from the south-west, 2000. A single-storey block to the west of the workhouse may have been a vagrants' or receiving ward. Pontypool casuals/receiving block(?) from the north-east, 2000. In 1895, a new two-storey infirmary was erected to the north of the workhouse. 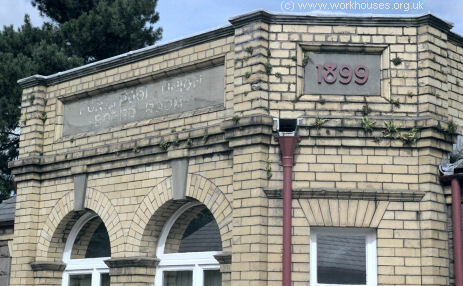 Pontypool 1895 infirmary from the south-east, 2000. A small isolation block was placed to the west of infirmary. Pontypool isolation block from the south-west, 2000. In 1899-1900, the workhouse was substantially enlarged with a major redevelopment of the main block at the south-east of the site. 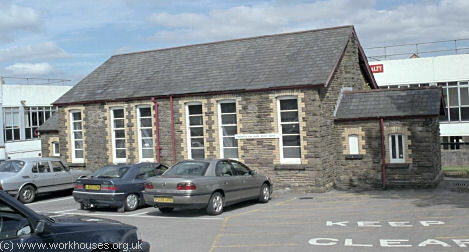 Pontypool redeveloped main building from the south-east, 2000. By now, the site entrance had now shifted to the west of the main building where a new board-room was erected. 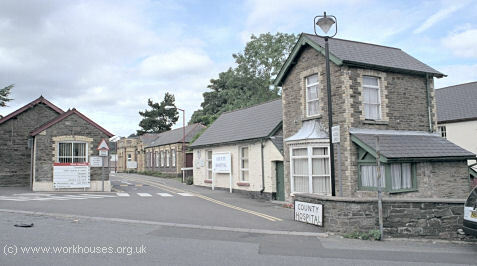 Pontypool entrance and board-room (centre) from the south, 2000. 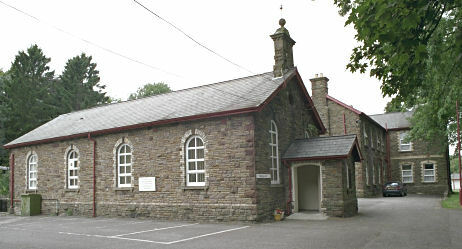 Pontypool new board-room from the south, 2000. 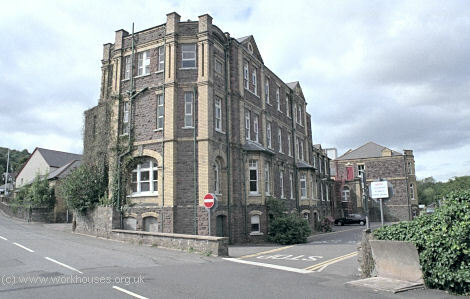 Pontypool workhouse from the east, date unknown, 2000. In 1881, a small cottage homes development was erected at the north-west of the workhouse site for the accommodation of 64 pauper children. It comprised two houses, one for boys and one for girls, with a single-storey block in between which was probably a school room and chapel. Pontypool cottage homes from the north, early 1900s. Pontypool cottage homes from the south-west, early 1900s. Pontypool cottage homes from the south-west, 2000. 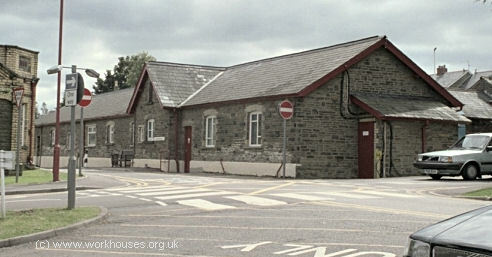 Pontypool cottage homes school block from the south-east, 2000. 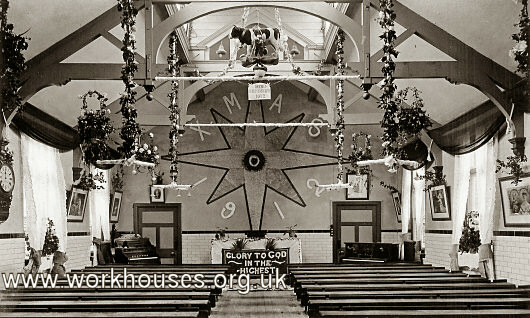 Pontypool cottage homes school block interior, 1912. 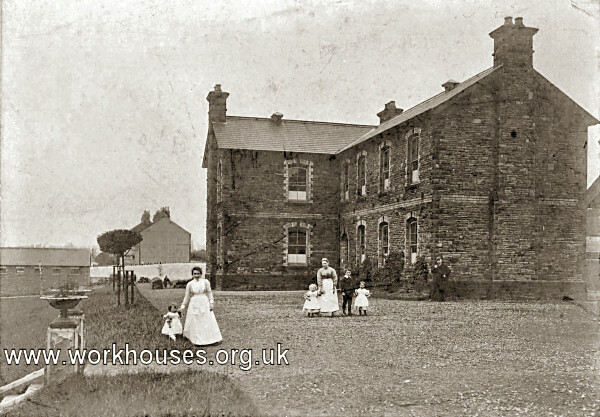 The former workhouse later became the Panteg County Hospital, with extensive further additions at the north of the site. 1914 — Master: PU Randall; Matron: Agnes M Randall; Medical Officer: John O'Keefe. Gwent Archives, Steelworks Road, Ebbw Vale NP23 6DN. Holdings include: Guardians' minute books (1836-45, 1854-1930); Admissions and discharges (1858-1930 with gaps); Notices of births (1913-30); Deaths register (1869-94); Creed register (1873-1914); Punishments book (1852-1912); Bathing register (1920-29); etc. Foster, B (1990?) 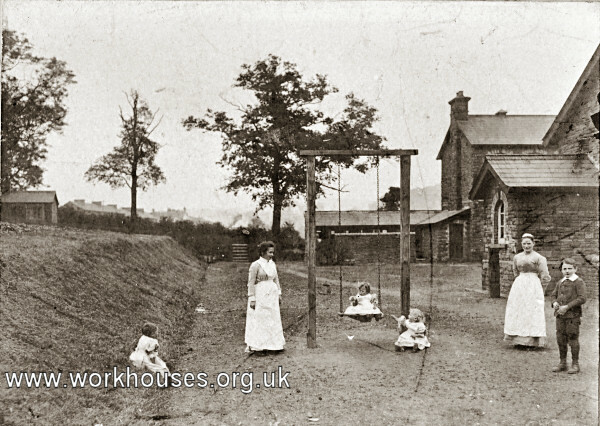 A History Of Pontypool Union Workhouse 1838-1930. Thanks to Jackie Evans for the vintage cottage home photos.